Legal Liability – What’s Covered? Most policies are made up of two parts, property, and liability. Liability is a reoccurring concept in the majority of policies for companies or individuals, protecting them against the possible legal consequences of running a business or owning a home. 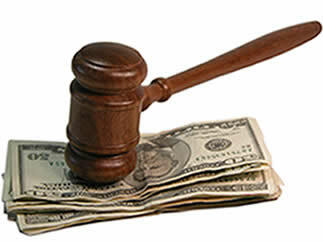 The latter provides for your legal defense and pays for damages to others that you have caused by your negligence. You will not find this coverage in Life, Health, or policies that cover only property losses. Accidents happen, both at work and home, leaving us vulnerable to legal costs if we are found to be at fault. Many policies provide coverage for liability, either as a part of a whole or as a separate policy that insures for liability only protection. Your car insurance policy which may be mandatory where you live offers property coverage but also provides liability if you are in an at-fault-accident. The majority of policies cover both property and liability damages; there are an assortment of liability only policies for businesses and professionals. Lawyers, engineers, and public officials often carry a type of coverage known as Professional Liability to protect the public for errors they make or carelessness while performing their duties. Many states require that your doctor or specialist have Medical Malpractice Insurance when care falls below the expected standard, resulting in injury or death. Accidents happen which is why insurance coverage can be vital to protect against the unexpected. However, liability coverage does not benefit those who cause intentional damage to property or cause injury or death to another person. It also does not cover the criminal or negligent actions of someone else, for example, a friend who causes an at-fault accident while driving to the store for you, or an employee who commits a crime in the workplace. Liability coverage is an important part of many insurance policies and provides protection to people of all lifestyles. Review your policy carefully and speak with your agent or insurance representative if there are any parts of the policy you do not understand.